Markov chains make it possible to predict the future state of a system from its present state ignoring its past history. Surprisingly, despite the widespread use of Markov chains in many areas of science and technology, their applications in chemical engineering have been relatively meager. A possible reason for this phenomenon might be that books containing material on this subject have been written in such a way that the simplicity of Markov chains has been shadowed by the tedious mathematical derivations. Thus, the major objective of writing this book has been to try to change this situation. 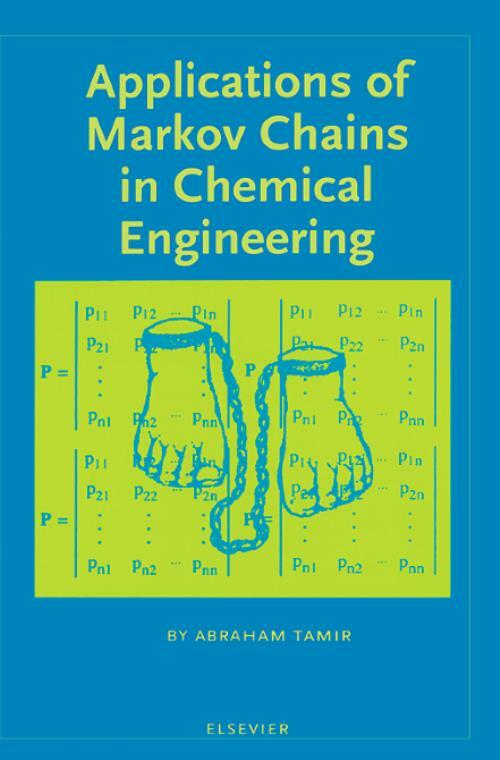 There are many advantages, detailed in Chapter 1, of using the discrete Markov-chain model in chemical engineering. Probably, the most important advantage is that physical models can be presented in a unified description via state vector and a one-step transition probability matrix. Consequently, a process is demonstrated solely by the probability of a system to occupy or not occupy a state. The book has been written in an easy and understandable form, where complex mathematical derivations are abandoned. The fundamentals of Markov chains are presented in Chapter 2 with examples from the bible, art and real life problems. An extremely wide collection is given of examples viz., reactions, reactors, reactions and reactors as well as combined processes, including their solution and a graphical presentation of it, all of which demonstrates the usefulness of applying Markov chains in chemical engineering. a Humorous Introduction. Chapter 1. Why Write This Book? Chapter 2. Fundamentals of Markov Chains. Markov chains discrete in time and space. Markov chains discrete in space and continuous in time. Markov chains continuous in space and time. Concluding remarks. Artistic ending of the chapter. Chapter 3. Applications of Markov Chains in Chemical Reactions. Modeling the probabilities in chemical reactions. Application and verification of the modeling. Major conclusions and general guidelines for applying the modeling. Application of kinetic models to artistic paintings. Introduction to modeling of chemical reactions. Single step irreversible reaction. Single step reversible reactions. Consecutive irreversible reactions. Consecutive reversible reactions. Parallel reactions single and consecutive irreversible reaction steps. Parallel reactions single and consecutive reversible reaction steps. Chain reactions. Oscillating reactions (55-69). Non-existing reactions with a beautiful progression route. Chapter 4. Applications of Markov Chains in Chemical Reactors. Modeling the probabilities in flow systems. Application of the modeling and general guidelines. Perfectly mixed reactor systems. Plug flow-perfectly mixed reactor systems. Impinging-stream systems. Chapter 5. Applications of Markov Chains in Chemical Processes. Modeling of the probabilities. Application of the modeling and general guidelines. Nomenclature. References.